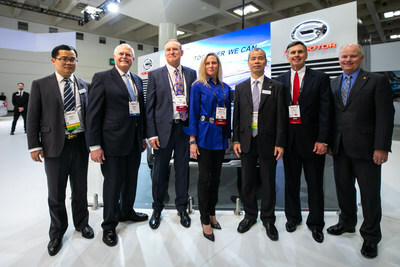 SAN FRANCISCO, Jan. 28, 2019 /PRNewswire/ — Automaker GAC Motor has returned to the National Automobile Dealers Association Show (NADA), the premier showcase of auto products, services and technologies being held from January 25 to 27 in San Francisco, to connect with dealers in North America as it continues to advance its plans to enter the market. 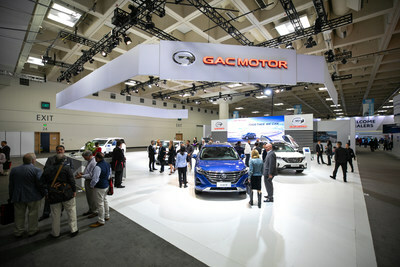 Themed “Together We Can,” GAC Motor’s 650 sqm exhibition space is located in the north hall of the San Francisco’s Moscone Center. Following its successful showcase at the 2019 North American International Auto Show (NAIAS), GAC Motor brought its star vehicle models to NADA, including the GS8, GS5 and GS4 SUVs, GM8 minivan, GA4 sedan, GE3 NEV and ENVERGE concept car. In addition to presenting its lineup of cutting-edge vehicles, the company has hosted over 80 dealers and partners at a dealer gathering to further develop GAC Motor’s dealership network in North America. Attendees expressed a strong interest and willingness to work with GAC Motor to establish distribution channels. “Building a world-class brand and a global company has been GAC Motor’s development goal from the very beginning. During last year’s NADA Show, we received lots of positive feedback from US dealers and partners, which has greatly contributed to the smooth progression of our plans to enter the US market,” said Zhan Songguang, Executive Vice President of GAC Motor. 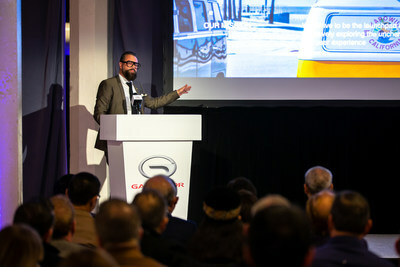 At the gathering, Sales Director of GAC Motor’s North American Region, and Pontus Fontaeus, Executive Design Director of the GAC Advanced Design Center Los Angeles, gave keynote speeches on GAC’s progress entering the North America market, introduction of the GAC Advanced Design Center Los Angeles and the concept car ENTRANZE unveiled at the NAIAS. “The GS8 is the first product GAC Motor plans to launch in the North American market. We have a few dozen of them in U.S. now, doing road tests and tracking durability and emission results. Later this year, we will also have a few at our sales office, available for test drives,” said the Sales Director. In 2018, GAC Motor saw sales increases and made significant progress in all areas of operation. GAC Motor established a research and development network in North America by opening three R&D centers in Silicon Valley, Los Angeles and Detroit. Altogether the company is building a global R&D system to design unique products, ensure product quality and boost market competitiveness. Additionally, GAC Motor’s North American Sales Company has been registered in Irvine, California and will begin operations in the near future, to boost the establishment of its dealership network in North America. Furthermore, GAC Motor has maintained its No.1 ranking among Chinese brands in J.D. Power Asia Pacific’s China Initial Quality Study (IQS) for six years in a row, showcasing its continuous endeavor to enhancing product quality.